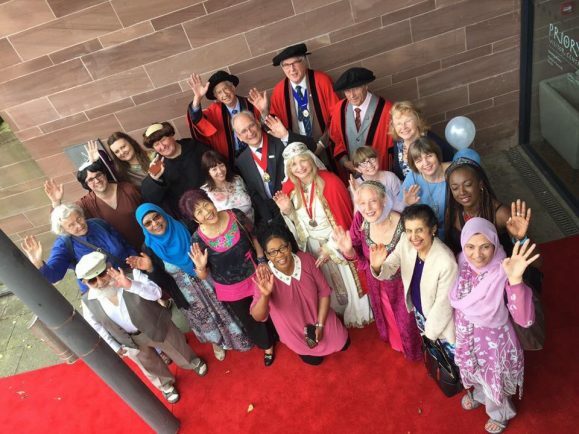 The home to the 1000-year-old remains and artefacts of the city’s first St Mary’s cathedal and priory will now run as a multi-purpose tourist, events and social enterprise hub – after social enterprise Inspiring Communities won a Coventry City Council tender to run it. 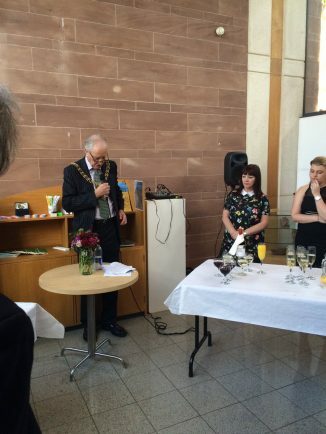 A VIP opening took place last Thursday, attended by Lord Mayor Tony Skipper and leading city figures, followed by its public re-opening on Saturday when around 150 people attended. It is now open three days a week to the public – Thursdays to Saturdays, 10am to 4pm. The venue in Priory Place, city centre, is also available as an events space for conferences and private functions. A Friends of the Priory Appeal has been launched, with £1 donations sought. Volunteers are also wanted. A website is up and running for more information – www.coventrypriory.co.uk. Carole Donnelly, of Inspiring Communities, said: “It’s been extremely hard work and many sleepless nights, so we’re extremely happy it’s open and we’ve achieved what we set out to achieve. Social enterprise businesses will now operate cultural, educational, a healthy food cafe and other activities from the multi-purpose venue and function room, which will promote the city’s mediaeval story to future generations. One of the first events will be a medieval-themed Big Medieval Lunch on Sunday June 18 from midday till 4pm as part of the Nationwide Big Lunch. Organiser Paul Curtis AKA The Deep Fat Friar from Talk And Walk Tours said: “The aim of the day is to get communities from all over Coventry to come together and share some food. The Coventry Observer’s #SaveThePriory campaign called on the council to ensure the venue was re-opened urgently, with community group takeovers being one potential solution. Our campaign call was supported by prominent figures including the Bishop of Coventry, the reverend Dr Christopher Cocksworth; TV Time Team presenter and Blackadder actor Sir Tony Robinson; eminent medieval historian Dr Jonathan Foyle; politicians and tourism guide Roger Bailey. The Bishop of Coventry described the centre’s remains and artefacts as one of our city’s great treasures. He had told us: “The original St Mary’s cathedral and priory played a very important role in the early life of our great city, part of the city’s story which the world urgently needs to hear”. Sir Tony Robinson, whose Time Team twice visited the site uncovered during Millennium excavations, described the treasures as being of international significance. Dr Foyle had said Coventry should be doing more to show off its unique medieval treasures to the world. Treasures include a glorious Chapter House wall painting, carved sandstone gargoyles, and 14th century tile floors.